Our highly engineered aluminium patio door sliding mechanisms make even the largest sashes slide open and close smoothly and effortlessly. Starglaze supply and install superb aluminium patio doors for properties in Lincoln, Nottingham, Newark and surrounding areas. Patio doors are a fantastic option if you’re looking to create a seamless connection between your home and garden. 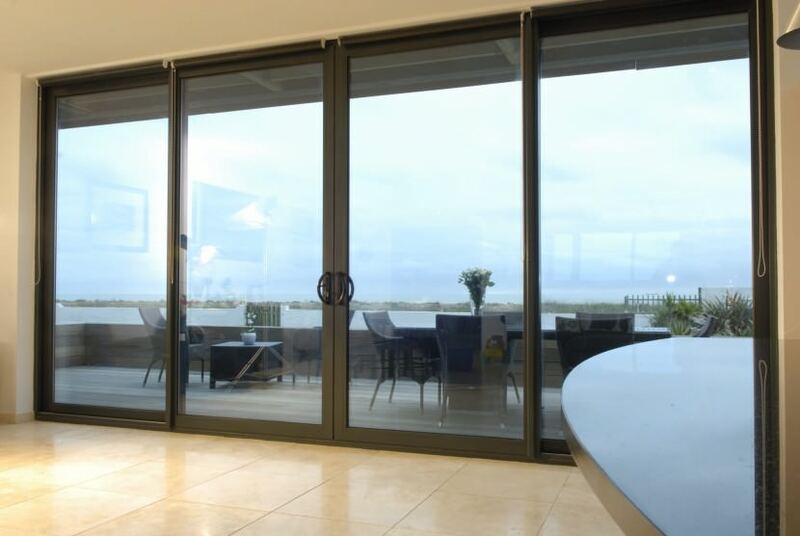 Our aluminium patio doors are crafted to be highly desirable, extremely energy efficient and highly secure. Our aluminium patio doors are a perfect choice for both commercial and residential projects, as they can be adapted to suit a variety of building styles and sizes. 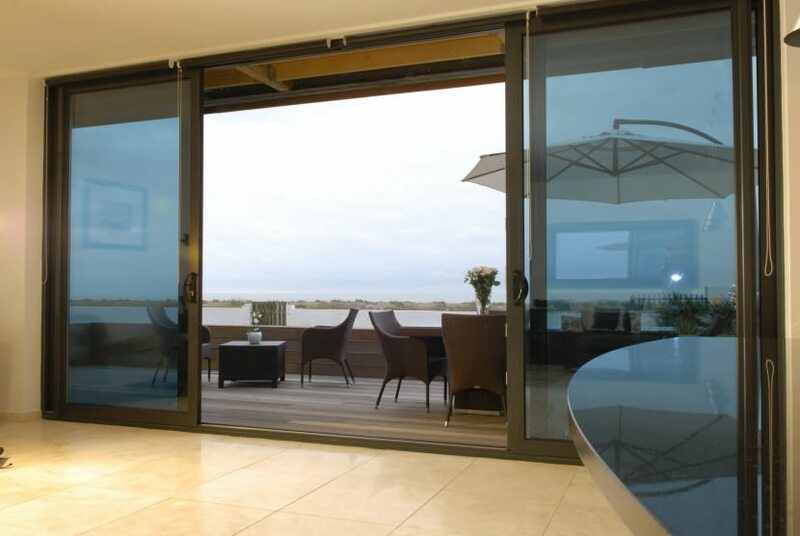 Sliding patio doors operate in a swift motion that is easy to open and close. Even the largest panes of glass can be held safely and securely in our slim line aluminium frames and offer effortless movements. There is a wide variety of aluminium patio doors options you can choose from in order to make your patio doors work perfectly for you. Available with double or triple track, so that you can opt to have multiple sashes sliding in the same direction. This is great if you want to create an even larger opening of up to two thirds. Sternfenster manufacture Smart Visoglide patio doors, which allow you to make the most of the glass areas without compromising on space. Sliding either left, or right, rather than protruding into the room in order to provide the maximum amount of space. Visoglide provides slim frames that create a fantastic space for clear views outwards. Extremely versatile, our thermally efficient aluminium sliding patio doors are designed to retain the warmth generated by your central heating inside your property. A great way of saving you money on your heating costs. Here at Starglaze we know how important the safety levels of your property are. Smart offers a 5 star security rating when you choose our aluminium patio doors, so you know you’re receiving the highest security standards. 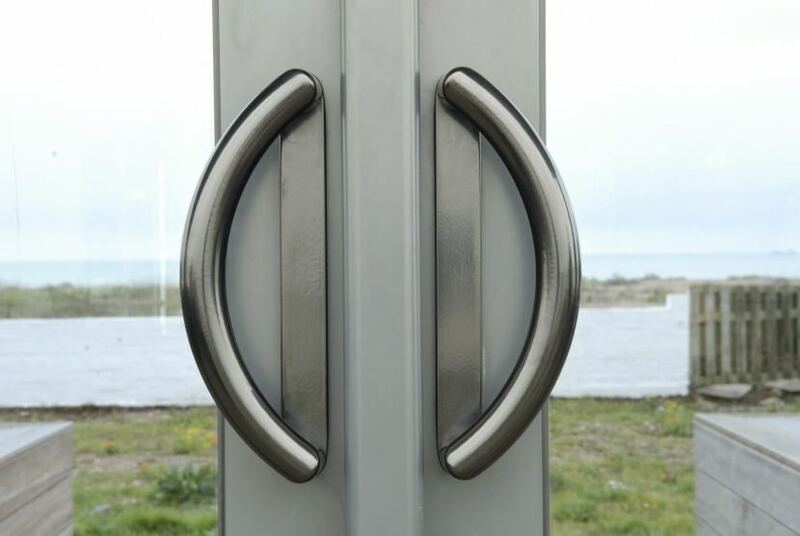 Our aluminium doors are internally beaded and with high security multi-point hook bolt locking systems on the master slider as standard, you know you’re in safe hands. If you’re interested in finding out more about our aluminium patio doors then please contact one of our experienced team here at Starglaze on 01522 512020 or head over to our contact page to send us a message or for more information.